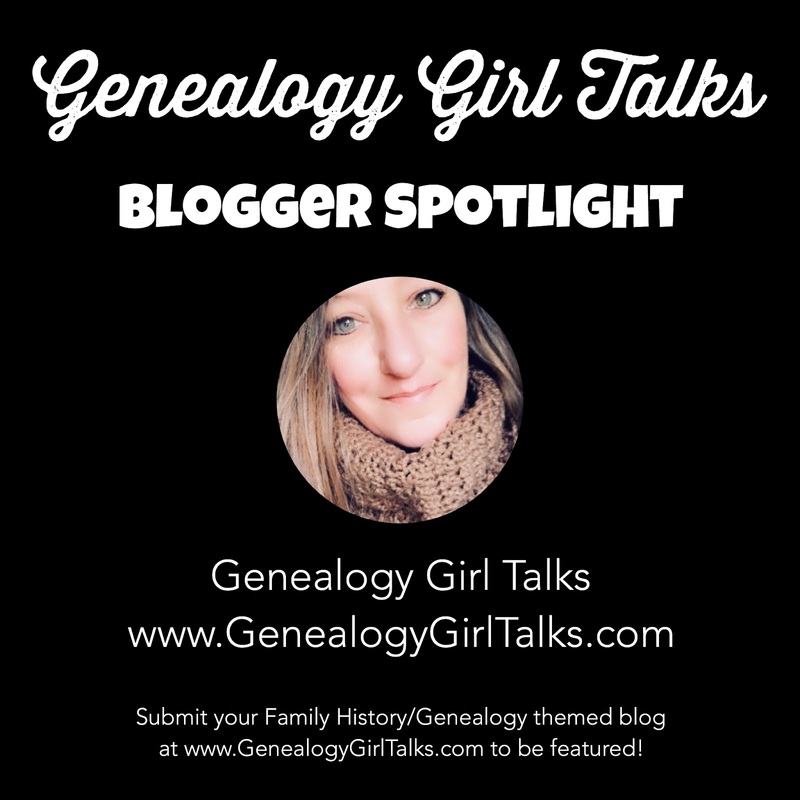 Do you want your Family History/Genealogy themed Blog featured on the Genealogy Girl Talks website? These will be randomly posted to the Genealogy Girl Talks website. You will be tagged on Social Media when your post is live. If you have questions or concerns please email me! Click on the link HERE to complete the Blogger Spotlight Submission Form. So, let’s kick this off with a Spotlight of myself to show you how it works! HOW DID YOU GET STARTED IN FAMILY HISTORY/GENEALOGY? It all started with a picture hanging on my grandmother’s wall. It took almost 40 years to identify her, but, with the help of family, we did it! My beginning also includes a trip to a local medium who kinda pushed me into researching more. I wanted to know about the ancestors she was talking about. WHERE DID YOU GET THE INSPIRATION FOR YOUR BLOG’S NAME? When I began my blog I also started a podcast. I thought “Genealogy Girl Talks” was a great name since I wanted to talk about all things genealogy. Oh, you should see that first logo image! It’s kinda funny now! WHAT DO YOU LOVE THE MOST ABOUT BLOGGING? I love connecting with other like minded people! No one understands the drive to keep researching unless they’ve been bitten by the “genealogy” bug. WHAT ADVICE WOULD YOU GIVE NEW FAMILY HISTORY/GENEALOGY BLOGGERS? Hmmm.... the biggest piece of advice I would give to new bloggers is to stay true to yourself. There are so many changes that happen online through the years. Do you! Don’t copy or mimic. Use others as inspiration, but don’t copy. WHAT ARE 2 OF YOUR MOST POPULAR BLOG POSTS? INCLUDE LINKS SO I CAN SHARE THEM, TOO! My most popular blog post is: http://www.genealogygirltalks.com/2014/05/how-to-use-pinterest-for-genealogy.html with almost 100,000 views. My 2nd most popular blog post is: http://www.genealogygirltalks.com/2014/04/map-your-surname-distribution-map.html with almost 50,000 views. IF YOU COULD LEARN TO DO ANYTHING, WHAT WOULD IT BE? I would love to learn how to paint! I can do a lot of creative works, but I have never been able to paint. Of course, I can do it on my iPad with the help of Procreative and my Apple Pencil (because “undo”), but I just can’t do it in real life. Real paint and a canvas are too much for me!